At least, Simon’s sacrifice wasn’t in vain. Soldiers are most probably the closest things that we have to superheroes today. These men and women leave their families and the comfort of their lives behind to sacrifice for our freedom and the rights of our country. For well over a decade, Simon Brown was an officer in the army, faithfully serving his country and the freedom of her citizens at the war front. However, back in 2006, Simon was on a critical rescue mission and in a moment of bad luck, he was hit by a sniper right in the face. Ideally, this hit was supposed to end his life on the spot. However, by some stroke of luck, he was able to survive the incident. The only issue was that in order to get back to optimum health, he needed to undergo a wide array of surgeries (at the very least, 25 different surgeries were required). The surgeries were aimed at restructuring his face and restoring his visage to normal. One thing was sure, though; after this experience, Simon was never going to be- or look- the same. At the end of the day, even though the medical practitioners who worked on his face did their very best to restore him to normal, Simon was left partially blind. 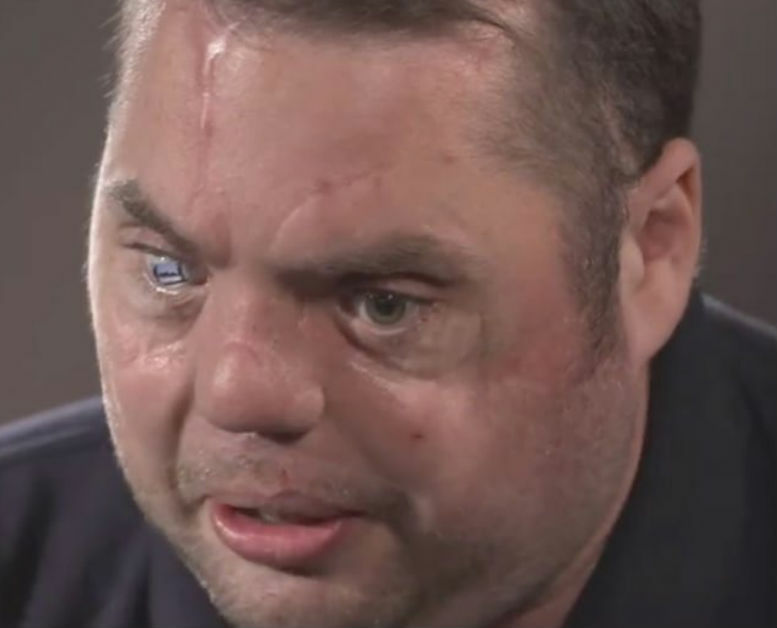 Also, the bones on his cheek, his jaw, and his nose all had to go through a complete set of reshaping and reconstruction and he was given a prosthetic eye to help him deal with his sight issues. Ever since he got this new appearance, Simon confessed that he began to feel more self-conscious about his looks, and he began to feel his sense of confidence gradually erode as well. He has since been made to live a normal life and settle down with his family but he also confessed that even this new phase of his life has been a really tough and challenging journey to embark on. Fortunately, Simon got a little help from ‘Help for Heroes’. Help for Heroes is an organization that provides aid and support for those who have sustained some form of injury or the other while on the battlefield serving the British Armed Forces. The organization decided that they should bring Simon to meet a very special young girl so as to make a beautiful video. 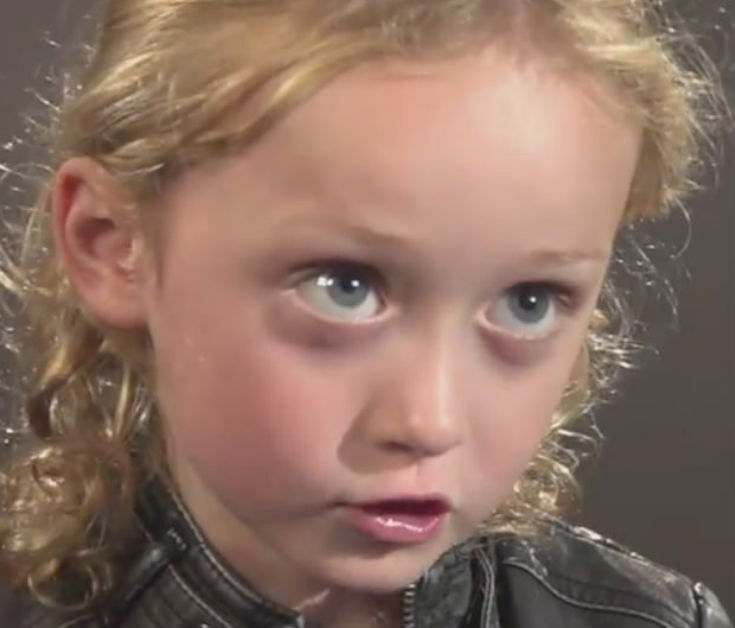 The name of the girl is Temperance Pattinson, although she also goes by Tempy. Tempy is five years old and all through her life, she has always had a lot of respect for soldiers and war heroes. Ever since she was just three years old, she has been joining triathlons and marathons aimed at providing support for soldiers. Temperance loves new and challenging experiences, even if it means entering into some pretty difficult and scary situations. 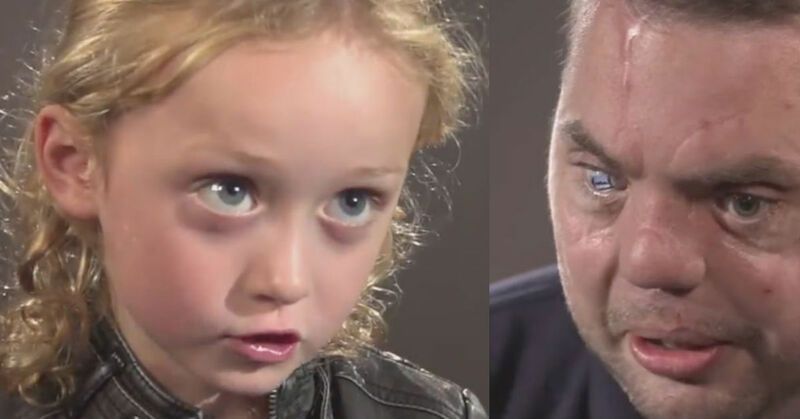 When Simon and Temperance were scheduled to meet each other for the first time, Simon was really worried as regards how the little girl was going to reach upon seeing his face. He feared that she would have a bad reaction to his eye, his scars, and just the way that he looked on a general level. However, at the end of the adorable meeting, it was obvious that the war hero didn’t need to be worried about a single thing. Feel free to check out the adorable video.